This year’s UNM School of Law honored the memory of Jim Sperling as it featured the James E. Sperling Memorial Scholarship at its Scholarship Luncheon. This annual event is held so that donors can meet the recipients whose educations they have supported. Firm President Walter Stern spoke about Sperling’s life and legacy of mentoring young attorneys. His tradition of helping the next generation of lawyers continues with the scholarship in his name, which was endowed by the firm in 1992. After serving in WWII, Jim became the very first associate hired at the firm that today bears his name, Modrall Sperling. He was a dynamic force in the New Mexico legal community. As one of the first attorneys to work on projects relating to the San Juan Basin, his oil and gas work evolved into what is today Modrall Sperling’s Natural Resources department – encompassing energy, mining, water, environmental, and Native American law. Jim mentored many attorneys through the years; it was one of the aspects of his career he most enjoyed – and of which he was most proud. He remained a beloved member of the firm until his death in 1991. Past scholarship recipient Pablo Padilla (Class of ’05) spoke about the impact the James E. Sperling Memorial Scholarship had on his life and career. Pablo has spent more than a decade working on behalf of tribes and pueblos around the state. He presented the firm with a Zuni Pueblo bowl as a way to express his gratitude and strengthen the ties between him and the firm. 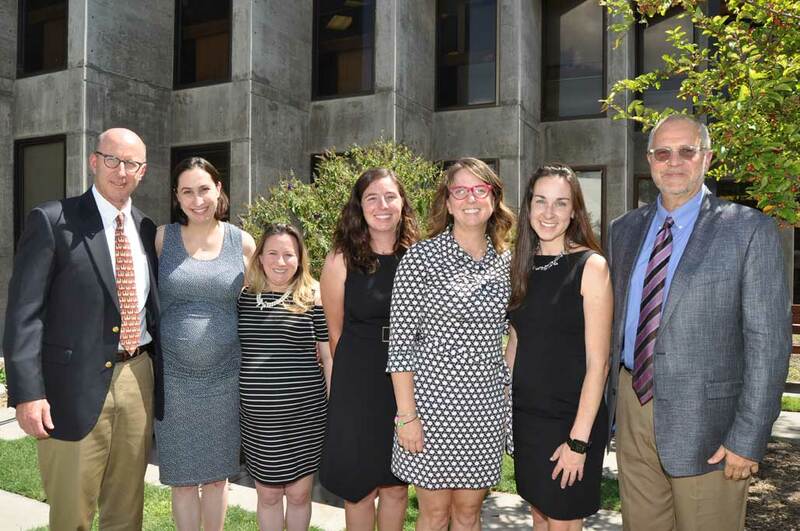 Modrall attorneys attending the Scholarship Luncheon (L to R): Walter Stern, Zoë Lees, Mia Kern Lardy, Ann Brethour, 2017 recipient of the Modrall Scholarship, Deana Bennett, Christina Sheehan, and Stuart Butzier. 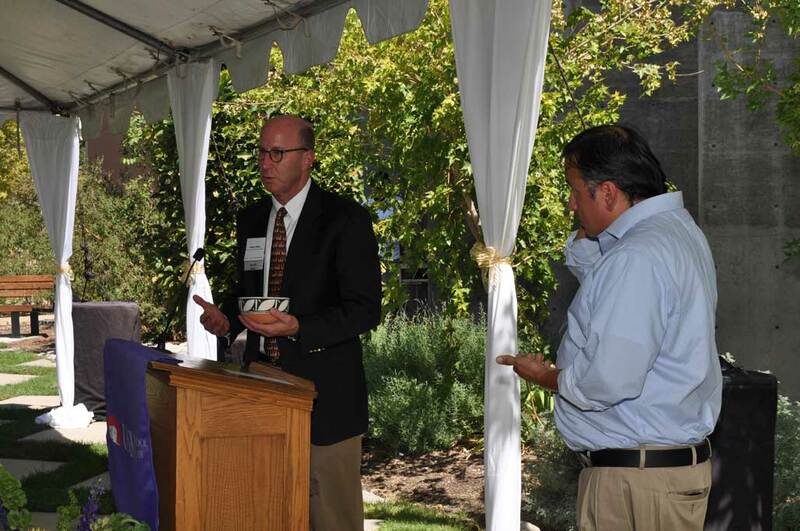 Modrall Scholarship recipient Pablo Padilla presents a Zuni Pueblo bowl to firm president Walter Stern. 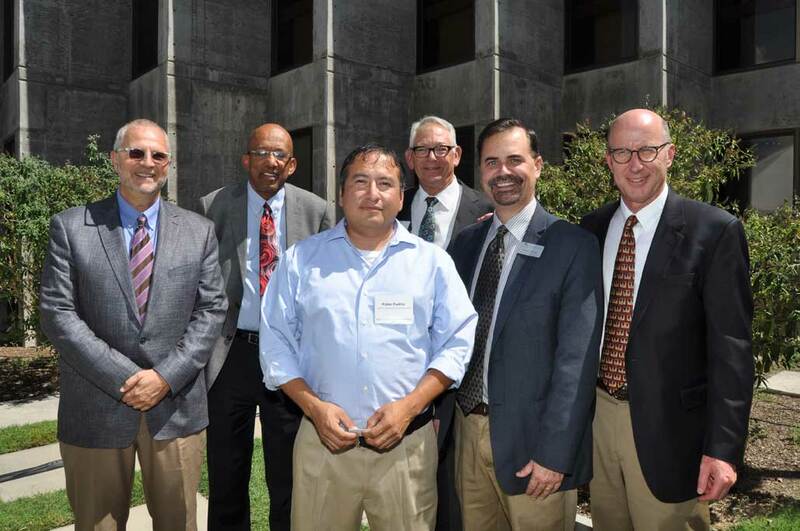 Stuart Butzier, Modrall Sperling shareholder, Alfred Mathewson, Co-Dean of the School of Law, Pablo Padilla, 2004 Sperling Scholarship recipient, Lynn Slade, Modrall Sperling shareholder, Sergio Perea, Co-Dean of the School of Law, and Walter Stern, Modrall Sperling shareholder and present.